A Little More Than Empty — Ginger writes. Earlier this week, I finished journaling back through all my underlines from the book Running On Empty, which I read a few months ago and have been slowly processing ever since. But that finish is only a beginning. I decided during Lent to practice moving toward Story on a daily basis as a way to surrender my identity around motherhood and to lean into God and not my own feelings about what I can or cannot do. 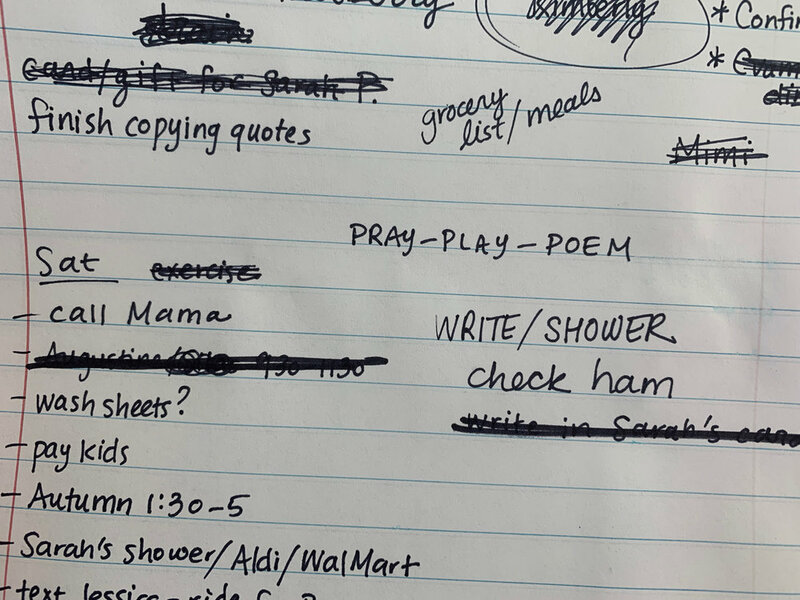 On my to-do list each day, I have been writing three words at the top: PRAY, PLAY, POEM. I have been trying to take a few minutes near each day’s beginning to pray for wisdom and help from God to know when and how to engage with Story in an intentional way that day. Then I look for the opportunity that presents itself to do something with Story that I wouldn’t naturally do. Rarely is this what I would actually call play, but the spirit is the same. We’ve read books, done workbooks, sat in the sun to eat a snack, done a science experiment, started a collage on posterboard, played TicTacToe, played Lego, or simply talked. The play portion has happened at various times and in various places (at home, in the doctor’s office, in the yard, in the car, and in the bath). Finally, my favorite part of the practice has been to write a short poem each evening as a way to reflect back on how the time with Story was for that particular day. I shared a couple poems near the beginning of Lent a few weeks ago but here are a few more. Which you did not expect. You asked for more of Wonder. But time for what you wanted. This is all a wonder. Just a scrap of time is enough. 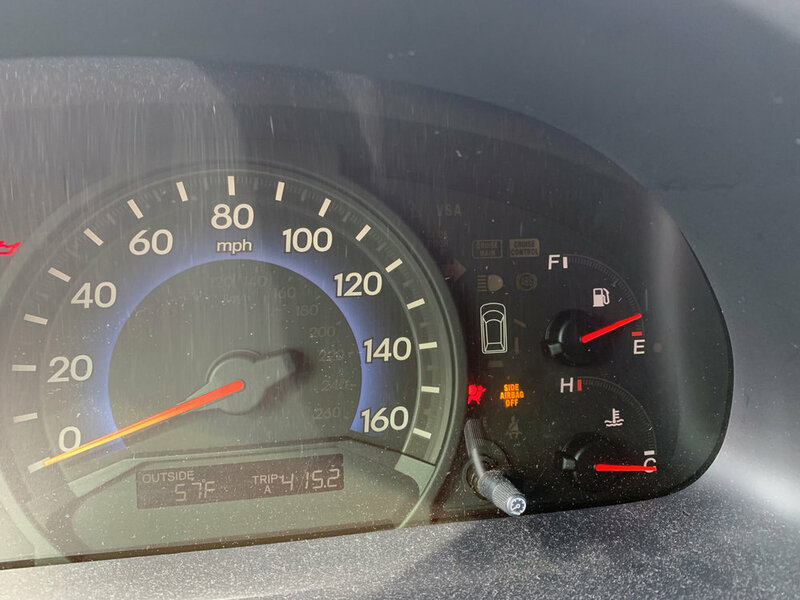 Because of these experiences, an image has begun to form in my mind of the needle on a gas tank lifting slightly up off the E. The tank is nowhere near full, and there is still much work (play) to do. But I can feel a warmth being created between Story and me that has been absent for a long time. Can this be true? I think. Am I really doing this? I am amazed and grateful beyond words. The “drawing near” reflections, like the ones above, are just part of the journey. The struggle is still real and days which start well still sometimes end poorly. I wrote a longer two-part reflection last night before bed that helped me to process where I messed up. But it is there on the wind, too. The cactus version of myself. There isn’t a neat and tidy ending to this story. There is just more to pray, more to practice, and more to process. The past couple of weeks have brought significant challenges for Story related to bathroom issues, including a doctor’s visit, phone calls from her school, and many tears and fears. If I’m learning anything, it’s that emotional business, either dealt with or undealt with, is no joke. Anxiety is high. But nurture is happening at the same time. We are a little more than empty at this point, and that is something to celebrate.